Puerto Escondido surf school is one of the coolest things I’ve done so far this trip. As soon as I arrived in Mexico’s best surf town, post nausiatingly bumpy wonderfully scenic bus ride from Oaxaca City, I knew it was the perfect spot to up my surf and language game. 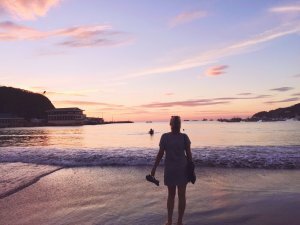 I’d been looking around for an affordable, yet awesome language school since I’d landed in Mexico, and pairing Spanish lessons with surfing just made sense. I spent two weeks here soaking up the sun, surf and all the Spanish verbs I could muster. And realised Puerto Escondido Oaxaca is so much more than a quiet little surf town. Packed with stunning beaches with a range of waves from beginners to pros and a pumping party and food scene. Learning to surf in Puerto Escondido is definitely one of the coolest things to do in Mexico. So, now I’ve set the scene, let me convince you why, if you’re interested in learning Spanish or surf, it should be at Oasis Surf and Language school in Puerto Escondido. Can you see the image above? 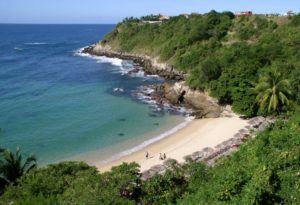 That right there is Playa Carrizalillo one of the many beaches in Puerto Escondido. So I’m talking seriously Instaworthy stuff here. Blue water, heady cliffs and white sand. You’ll make all your pals jealous with the copious amount of photos you can do of ‘hot dogs or legs’ on these stunning Puerto Escondido beaches. The method of teaching at Oasis Puerto Escondido Spanish School means you learn super fast. One-on-one Spanish lessons and two-on-one surf lessons. I even stood up on my first wave… Impressed? But seriously, the teachers are fantastic, knowledgeable and passionate. I arrived knowing little Spanish and left feeling confident and comfortable to take on the rest of Central America. Sol and Roger, the owners of Oasis Puerto Escondido Surf School invite you into their home and make you feel like part of the family. I had just started my year-long trip around South and Central America and was feeling a little nervous about going solo. The staff, students and family make you feel so welcome. You’ve made instant friends you’ll have for a lifetime. Everyone is also more than happy to give you advice on the best things to do in Puerto Escondido Mexico and happy to point out where to eat, drink and be merry. Plus the apartments (if you choose to stay in one) are affordable, super lush and the perfect Puerto Escondido accommodation. And if you’re wondering what to do in Puerto Escondido Mexico other than surf, you’re in luck. It’s a natural paradise, and the dolphin tour is an absolute MUST! Head to a local travel agent, barter and you should be able to get yourself a morning dolphin tour for about 300 pesos. That’s $15 USD guys! The dolphin tour was probably one of the most amazing things I’ve done in my life. About half an hour away from the shore we came across hundreds of dolphins spinning, jumping and diving out of the water. Puerto Escondido Oaxaca is home to the Spinner Dolphin, they spin/jump out of the water just for fun. After watching them play for 30 minutes our hosts, in thick Mexican accents said – ‘swim?’ and we replied with a swift ‘heck yes!’. So, next minute we’re paddling around in the water with our new best friends. 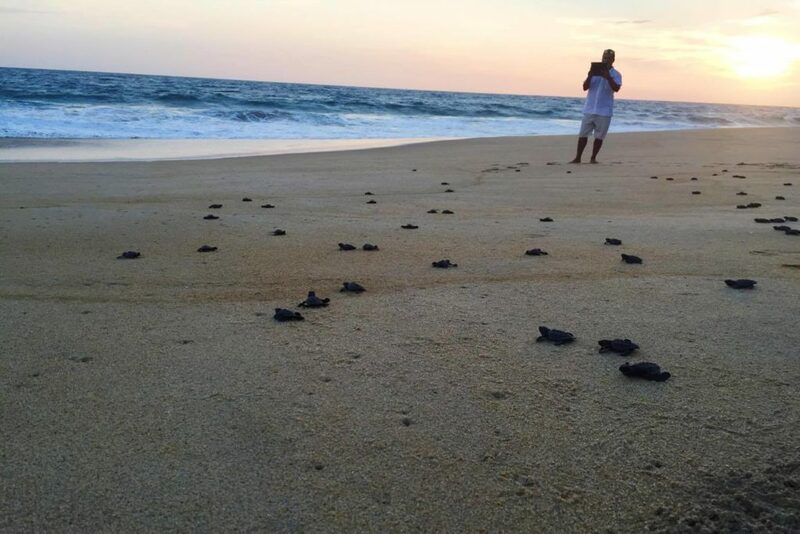 Setting turtles free is one of my top Puerto Escondido travel tips. 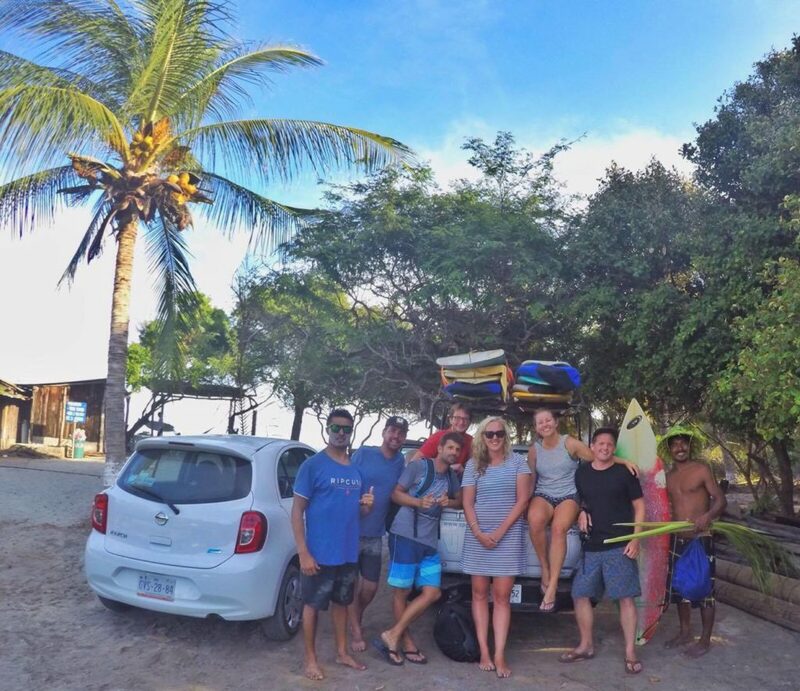 ‘Liberacion de las tortugas’ is another once-in-a-lifetime experience (and is actually offered through Oasis Surf school as one of their free Thursday ‘Surprise Me’ activities). Turtle eggs are seen as a delicacy in Mexico, so there is a huge focus on ensuring their safety. There are many turtle sanctuaries along the beach, and tourists are free to help the Rangers release the baby turtles back to the ocean and ensure they are not attacked by predators along the way. We helped out at the sanctuary on Playa Delfine, which I’d thoroughly recommend. Helping out at the turtle sanctuay is also a great way to break up your Puerto Escondido surf lessons. Another awesome Puerto Escondido activity is the chance to swim in a lake with natural biolumenescent properties. Basically, you take a boat out, and jump into a lake in the middle of the night that lights up as soon as your skin touches it. You’ll spend around 30 minutes splashing around in this crazy water creating lightening shapes with your hands and feet. Oasis Puerto Escondido Surf School can organise this tour for you at a discount or you can head down to the local tour agents and try your luck at bartering. After more info on where to eat? Check out the best restaurants in Puerto Escondido Mexico. Puerto Escondido Mexico is off the infamous Gringo Trail, therefore you’ll look like a fearless backpacking legend when you recommend it to all the people you meet from now on. WHERE TO STAY in puerto escondido: The oasis surf and language school offer some lovely apartments with a pool that are the perfect spot to stay if you’re also studying surf and spanish at the school. You can check the latest rates and availabilities HERE. if you’d prefer to stay away from the school you can check out the best puerto escondido hotels and hostels HERE. DAILY BUDGET: Food here is relatively cheap. So with the Accomodation and daily surf and spanish lessons I was spending about $80 USD per day. 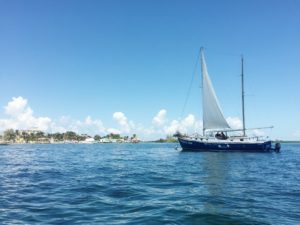 how to get to puerto escondido mexico: Getting to Puerto Escondido Mexico Is super easy. 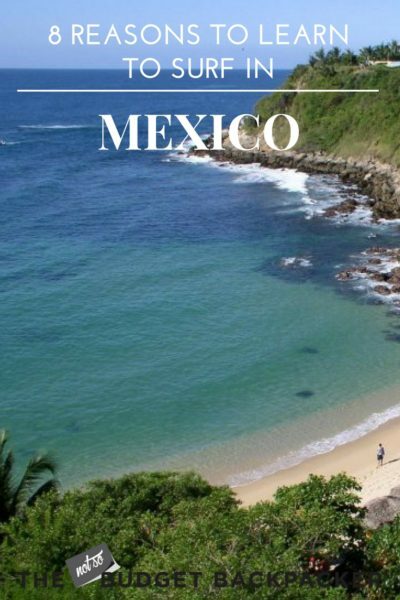 The cheapest flights to puerto escondido leave twice daily from Mexico city with VIVA AEROBUS for just over $120 USD. you can also take the bus from mexico city (12 hours) or from Oaxaca City (10 hours) for around $30 USD. LOVED PUERTO ESCONDIDO SURF SCHOOL? check these out!